Our Puppy Play Lounge offers a safe place for puppies to receive care and socialise with other puppies during those early, important weeks of social development. 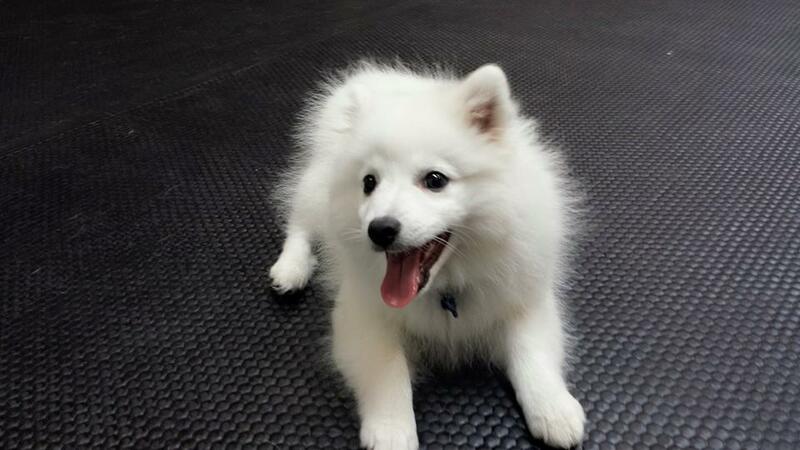 Fully vaccinated puppies may enroll at our Puppy Play Lounge. Our staff provide all aspects of care, including supervised group play, individual attention, feeding puppy lunches, and plenty of puppy nap time. They also teach bite inhibition, resource guarding prevention and work on basic behaviours such as sit and wait.